Being told that you need a land survey can be both frustrating and confusing. Often, most people do not realize that a land survey is an important step when buying a new home or property of any kind. Defining the boundaries, easements, and encroachments is a vital step to help determine the overall value of the property. The job a surveyor takes on is of great importance to the value of your property and selecting the correct land surveyor is crucial. Below is a guide to assist you in choosing the right land surveyor. Performance and reputation are the first qualifications you should look for when you hire a surveyor. Ask around about a potential surveyor or get recommendations for one from within your community; choose a surveyor based on this reputation. Ask the surveyor for references. Any reputable firm will be able to give you testimonials from satisfied clients. A surveyor’s competence is the most important consideration when deciding who to hire, because you must rely on the services they provide. Make sure the surveyor of your choosing is licensed in Connecticut.  Choose a surveyor you believe will take the time to get all the facts and understand the history of your property. Any good surveyor will do the required research and ascertain the proper documentation needed before performing any field work for you. Also, to ensure that the surveyor you hire does their best for you, make sure you tell them about every facet of your situation. If you let them know your goals, they can help guide you through the process for the best chance of success. Make certain that any land surveying company you consider hiring is well insured. A land surveying company needs professional liability insurance against errors and omissions, as well as regular business insurance. A responsible company or independent surveyor will be glad to show you proof that they carry adequate insurance coverage. To find the most suitable expert to do a land survey of your property, choose a surveyor who is familiar with your locale. Such a professional knows the requirements of the government agencies that have jurisdiction over your specific property. Land use and building regulations vary widely across the United States. They may even vary within neighboring towns. A local surveyor or land surveying firm will be familiar with varying local terrain, property history, particular neighborhoods, special regulations, and local and state customs. Determine the purpose of the survey: what do you want to accomplish on your property? This is necessary so the surveyor can determine the best way to recover your boundaries and/or create the right documentation for you. Tell your professional surveyor your purpose and goal. Make sure he or she has all the facts, so that they can suggest the kind of survey that best suits your needs. Once you decide to have your property surveyed, the first step is to gather any available copies of old surveys or title documents of your property that you may have in hand. If you don’t have them, do not worry, the land surveyor will research these documents for you in the public records. Every piece of property has a history, and this history, or chain of title, guides the work of a professional surveyor. The records that are on file in the town hall are of great importance to the surveyor. Will a Land Surveyor tell me what I own? No, ownership is a legal matter and you should seek legal counsel if ownership is in dispute. A surveyor determines the boundaries of a parcel and can provide you with a survey map showing the results of the survey suitable for filing in the public land records. In many cases, a surveyor and lawyer will work together to help resolve issues with your property. Will I be shown if there are any encroachments on the property? Part of a surveyor’s duty is to observe and locate undocumented uses on a parcel of land. If you have areas of concern, you should discuss these with your surveyor before the survey begins. Will I be shown if there are any easements on my property? Yes, if you instruct the surveyor to do so, and provide a current title report or title policy to use for this purpose. The surveyor will supply a map, plot, or exhibit showing this information. How will I be shown what has been surveyed? Corners of the property will be marked with stakes, pipes, or other such monuments as agreed to by the client and the surveyor. The corners on the parcel will be pointed out to you, if requested. A record of survey or corner record may be filed when these monuments are set, indicating dimensions of property lines, monuments, and other relative data as required by the Land Surveyors Standards of Practice, the client, or others. Why are there conflicting boundary and easement lines? It is often true that boundary disputes and overlaps are a result of legal descriptions which were originally written and recorded without the benefit of the services of a Professional Land Surveyor. It is important to have these lines properly described and surveyed, if necessary, when property or easement lines are created or changed. How much will my land survey cost? Record Search: This varies by (a) the number of parcels involved; and (b) the number of past transactions. This necessary step is complicated by the casual manner in which land transactions have been handled in the past, resulting in many vague, incomplete, and often contradictory legal descriptions and land records. Size and Shape of Property: An irregularly shaped parcel has more corners to monument and a longer boundary than a rectangular parcel containing the same area. It may also present more abutting deeds to review and reconcile with the parcel in question. Terrain & Vegetation: A level parcel of land is easier to survey than a mountainous parcel. Interference with lines of sight and accessibility complicate field work. Amount of Existing Evidence on the Property: Existing evidence such as iron, wood, or stone monuments, old fences, and occupation lines, witness trees, etc., aid the surveyor. Their absence may compound difficulties involved in retracing boundaries. Local Knowledge of Property: Someone pointing out accepted occupation lines and monumentation is a considerable aid to the surveyor. Abutter Difficulties: When neighbors are cooperative, an otherwise difficult or impossible boundary line location may be established by boundary line agreement. Time of Year: In the summer, foliage may present problems making survey measurements difficult. In winter, weather may slow travel to and from the site, and sometimes conceal field evidence. Title Company & Public Agency Requirements: Title companies may require considerably more documentation than is normally required by the average land owner. Record of Survey or Corner Record: This map or record is often required by state law, to protect the general public, if matters addressed by the Land Surveyors Act are encountered while surveying your property. This will cause the mapping costs to increase, and requires the payment of checking and recording fees. Recording of Survey in the Land Records: The filing of a map, the results of your survey, places your abutters and the general public on notice regarding the location of your boundary. Special formatting, document material, filing fees and liability also add to the cost of a survey. Due to these variables, the surveyor should furnish the client with an estimate of the survey, and provide periodic updates on the estimate, as the project proceeds. What are the different methods of surveying? Most surveyors use electronic distance and angle measuring equipment, as well as Global Positioning Systems that are similar to how you navigate with your phone or car. Modern computer systems aid in efficiently gathering measurements and in evaluating all collected evidence required to perform the survey. The land surveyor takes pride in using these instruments and computers to perform land surveys efficiently, accurately, and cost effectively. A survey for the purpose of locating the corners, boundary lines and/or easements of a given parcel of land. This involves record and field research, measurements, computations and analysis to establish boundary lines in conformance with Land Surveyors Standards of Practice as defined in State Statutes. Depicts the location of all existing buildings on the surveyed property and details their relationship with respect to property lines, easements, rights of way, building setback requirements and deed restrictions relating to the location of buildings. Depicts an existing or proposed improvement with respect to municipal building setback requirements and may be used to obtain permits or variances, or as an As-Built to obtain certificates of occupancy. A survey made for the purpose of supplying a title company and lender with survey and location data necessary for issuing land title insurance. In addition to local and state standards, a surveyor must meet standards defined by the American Land Title Association and the National Society of Professional Surveyors when conducting these surveys. This type of map is used to submit or apply for subdivision or re-subdivision approval. The scope of which may be determined by the regulations and requirements of the commissions and other entities regulating the use of the land, to which the map is to be submitted. This type of survey is used to accurately locate and depict existing or proposed easements. It will also depict and/or note the matters and features affecting said easements. A type of survey that may be produced by a wide variety of methods and for many different scopes of services. It often includes all of the visible detail on a parcel and is often used as a base map for design services provided by other professionals. Construction Stake-Out Services control the on-the-ground, horizontal or vertical location of improvements to be constructed. This most often will be in accordance with architectural or engineering drawings, plot plans or zoning regulations, by the placement of markers on the parcel of land affected. A composite map prepared from some land records research and limited field measurements, which may be supplemented with compiled data from other maps or other sources. The scope of physical improvements depicted may be very limited and the intended use should be clearly noted on the map. This type of plan is used to generally depict planning or design matters, in relation to boundaries or other features. Types of information could include wetlands, percolation test holes, observation wells, test borings, soil data, floodplain data, traffic data, etc. Presents data derived from various sources of information and typically does not include any field verification of the information being presented. The plan should reference the various sources of information and state its purpose so that those who use the plan may get a reasonable sense of its veracity. This type of survey is intended for a variety of purposes such as to depict proposed improvements or record the location of recently constructed improvements. The content of these maps may be dictated by municipal and/or statutory requirements to gain project approval, financing or certificates of occupancy.